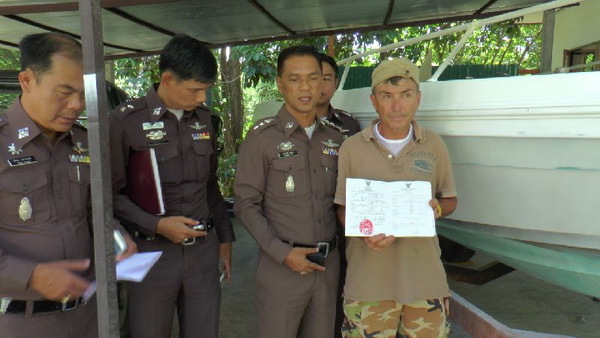 A 52 year old German national has been arrested on Koh Samui after stealing a boat the owner refused to sell to him. Frank Rainer Schmith, a mechanic on the island was arrested by police officers as he was spray painting the vessel in an attempt to disguise it. 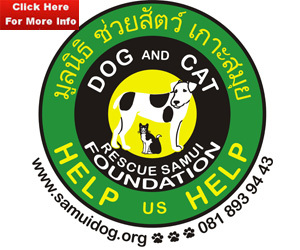 The boat was found in a garage located next to the man’s house in Moo 3, Taling Ngam. The arrest was made after a complaint was filed by Fernando Caracini, 64, who suspected Mr Schmith had taken his speed boat. Mr. Caracini led officers to the home of Mr. Schmith after making the complaint. He told police that he had only recently purchased the 10 seat speed boat from Chon Buri and that he brought the vessel, worth 750,000 baht so he could go fishing around the island. 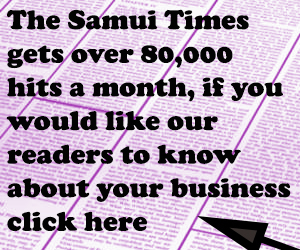 Mr. Schmith, a speedboat engine mechanic, later came to his home and asked to purchase the boat for 300,000 baht. Mr Caracini refused the offer and docked the boat at his home, before taking a trip to Italy with his wife. On his return to Koh Samui he discovered that his boat had gone missing and immediately suspected the German man was responsible for the boats disappearance. Mr. Schmith allegedly confessed to stealing the boat and said he felt very sorry for what he had done and apologized to Mr. Caracini.